We are excited to share the news that one of Jacqui’s former clients at The Writing Coach, Carolyn Kirby now has a two book deal with No Exit Press. Carolyn worked with Jacqui on her first novel and we’re delighted that a revised version of that novel will also be published by No Exit. Jacqui introduced Carolyn to her agent, so is particularly thrilled to learn of this fantastic outcome. UK and Commonwealth rights (excluding Canada) to The Conviction of Cora Burns and a second novel by Carolyn were acquired from David Haviland at Andrew Lownie Associates. The Conviction of Cora Burns (originally entitled Half of You) is set in Birmingham in the 1880s and explores the theme of nature versus nurture through the story of Cora Burns, a young woman who finds herself faced with the difficult challenge of overcoming her unalterable biology and troubled upbringing if she has any hope of creating a better future for herself. This compelling historical thriller won the Blue Pencil Agency First Novel Award, was a runner up for the Daniel Goldsmith First Novel Award and shortlisted for the Mslexia Novel Prize. We are thrilled to be publishing such an exciting new voice in this genre. Kirby’s gripping historical thriller explores so many contemporary issues such as madness, motherhood, criminality and medical research that we are certain it will be a huge success next summer. 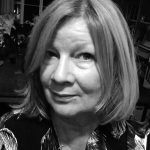 I am delighted that the lovely team at No Exit Press has taken on The Conviction of Cora Burns, a novel that asks difficult questions about childrens’ morality and the influence on our sympathies of ideas about nature versus nurture. It’s fantastic to know that they will be bringing my next historical thriller to life as well. Originally from Sunderland, Carolyn studied history at St Hilda’s College, Oxford before working in social housing and as a teacher. If you’d like to follow in Carolyn’s footsteps and consider how your book will reach publication, do join us at The Writing Coach and become part of our community. 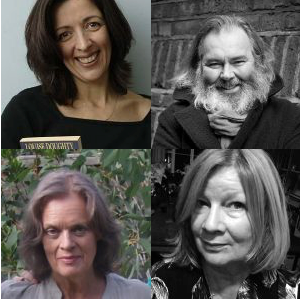 Come along to our ‘Routes to Publication’ event at Google Academy on 16th August – a panel discussion with special guests Louise Doughty, John Mitchinson, Clare Morgan and Stephanie Zia. We’ll be sure to make you very welcome and introduce you to other writers in our community. And you’ll have plenty of opportunities to ask questions about your own route to publication. All of us at The Writing Coach wish Carolyn huge success with The Conviction of Cora Burns – we can’t wait to see it in the bookshops! Would you love to find out more about routes to publication – from the traditional route to working with smaller innovative publishers to self-publishing? Are you keen to discuss how to maintain your integrity and individuality as a writer, whilst also having one eye on the marketplace? We are delighted to announce this one-off special event at Google Digital Academy where you will have an opportunity to network with writers and industry specialists whilst also considering your own best route to market. 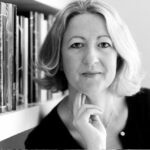 Our Founder Jacqui Lofthouse is thrilled to chair this special panel discussion on 16th August, featuring guests who, between them, know the publishing industry inside-out. Our aim is to help you to unravel the possibilities for your writing – and also to inspire you with a real vision that will enable you to write your very best work – and also to find an audience for it. Our discussion will be full of information and advice to help you make the right choices for your writing – with advice on how to stay true to yourself as a writer and how to choose the ideal route to publication. Whatever genre you work in, our panel discussion aims to give you the tools to write with confidence and to clarify your vision for publication. The price for this event is £20. This is not a ticketed event – once you have booked, you don’t need to bring a ticket on the day as your name will be on our guestlist. Our speakers have been chosen to give you the broadest view of routes to publication. 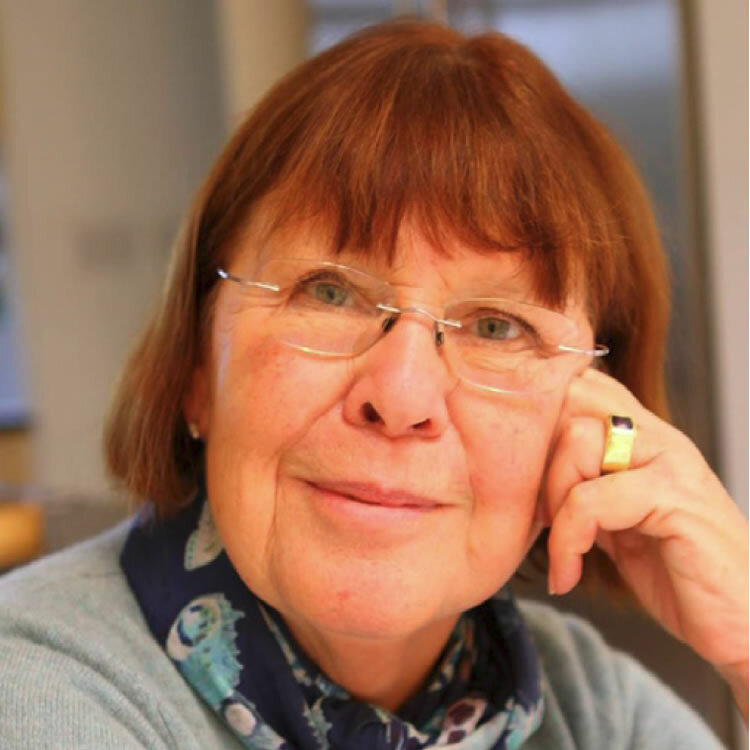 Our chair, Jacqui Lofthouse is a novelist and founder of The Writing Coach. In 1992 she studied for her MA in Creative Writing at the University of East Anglia under Malcolm Bradbury and Rose Tremain. She is the author of four novels, The Temple of Hymen, Bluethroat Morning, Een Stille Verdwijning and The Modigliani Girl. 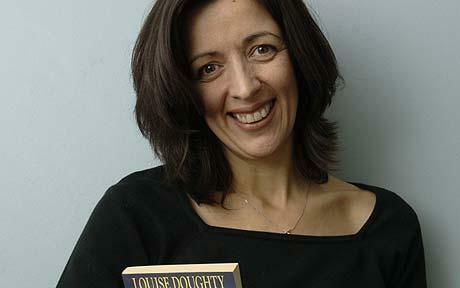 Her novels have sold over 100,000 copies in the UK, the USA and Europe. She is currently working on her first YA novel. 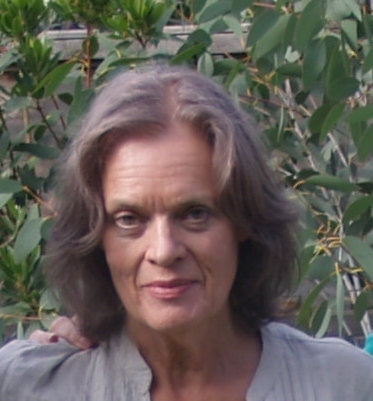 Jacqui has taught creative writing in a broad variety of settings from City University to Feltham Young Offenders Institution. She is also an actor, training at Identity School of Acting (IDSA). She continues to mentor writers at The Writing Coach where her mission is to help writers to be confident and productive, producing their best work and getting it into print. We can’t wait to meet you at this very special evening for The Writing Coach! 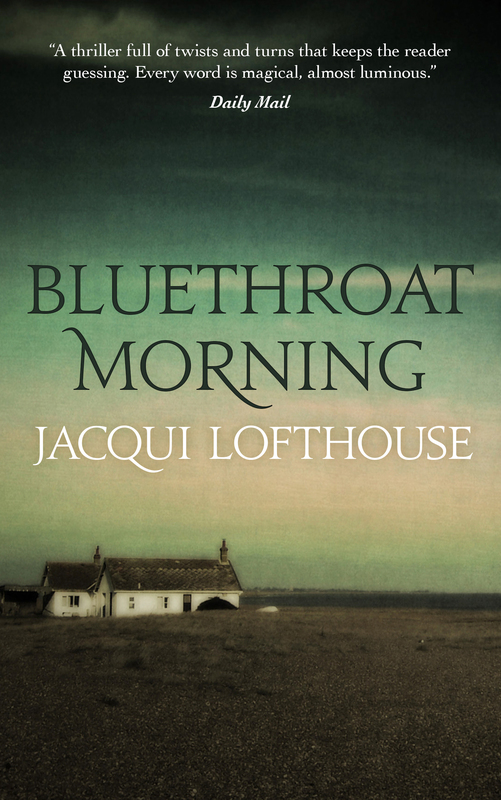 We’re delighted to announce the first digital release of our founder’s second novel Bluethroat Morning. First published in hardback and paperback in 2000 and 2001, by Bloomsbury, the new digital edition will be published by Blackbird Books. Described by The Daily Mail as ‘a thriller full of twists and turns that keeps the reader guessing – every word is magical, almost luminous’, Bluethroat Morning will be available as an ebook from 22nd May, $4.99/£3.49. Special pre-order price 99p/99c. If you are a book blogger and interested in the mid-May blog tour, there are a few places available. Please click here to let us know of your interest. 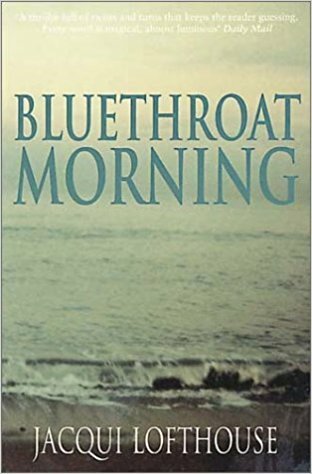 Alison Bliss, celebrity model and critically acclaimed writer, walks into the sea one ‘bluethroat morning’. In death she becomes a greater icon than in life, and the Norfolk village where she lived is soon a place of pilgrimage. Six years later her husband Harry, a schoolteacher, is still haunted by her suicide and faithful to her memory. Until he meets Helen and they fall in love. If you’d like to pre-order a digital copy prior to release on 22nd May, the special pre-order price is 99p/99c and you can find the book here and the paperback here. 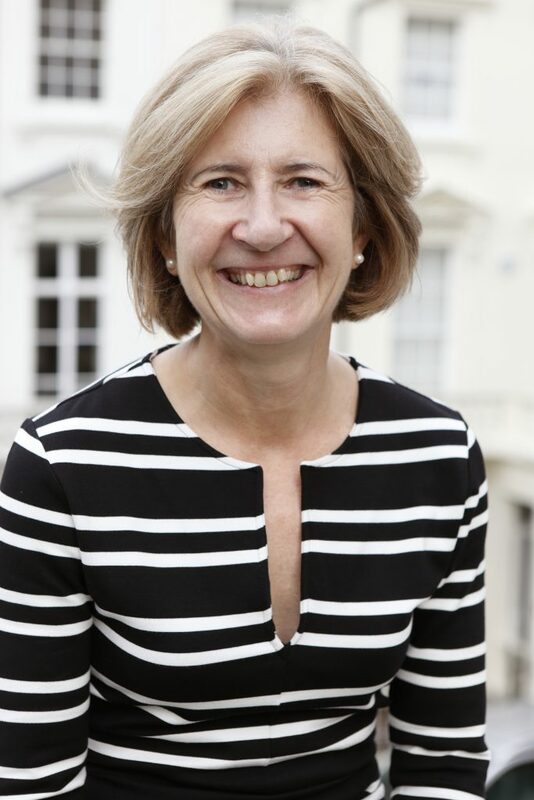 Sarah Dickinson was our Founder Jacqui Lofthouse’s first proper ‘boss’ when Jacqui began her career as a graduate in 1988. Here Jacqui interviews Sarah and they reminisce about ‘the old days’, about their relationship and on the nature of business and being a writer. Sarah, when we first met, I was a twenty-two year old graduate fresh out of university and you were a successful businesswoman, running a media training company and a radio production house. I know how impressed I was by you and all you’d achieved. I was also rather terrified of you! Dare I ask, what were your early impressions of me? I remember you bounced into the office, fresh, eager and intelligent. I tended to rely on intuition when I hired someone and certainly in your case was proved right. Anyone who started asking me about holiday entitlement, pay or career opportunities early in the interview was unlikely to find a job with me. As for being ‘terrifying’, of course, I find that hard to believe! I like to think I led by example, not fear. Of course, when I looked at you, in those days, all I saw was the power (who’ll ever forget our 1980s shoulder-pads!) and the success… You made it look so easy. Was it? No, it wasn’t easy, but then it wasn’t hard either. Obama hadn’t come on the scene yet, but his ‘yes we can’ catch phrase could have been invented for me. I realise now that I’m very much a start-up kind of business woman. I seemed to have had the ability to spot a gap in the market and went for it. Hence we were the first independent radio production company in the UK, one of the first to offer media and presentation training, and way ahead of the game with TV cookery shows. Too ahead, I suspect, as we didn’t manage to get our pilot show commissioned – but we had a great time producing it. It was Edna O’Brien was it? I’d forgotten. Perhaps a little naively, I simply assumed you could do it. You reminded me, when we last met, that it took you nearly a week to edit. I trusted your ambition and desire to learn. In an ideal world, everyone should be given the opportunity to learn and develop in their work. I’ll confess, I was in love with the glamour of it all too – the fridges full of Chardonnay and Perrier, the luxurious radio studio, the celebrities wandering through the door and the Christmas treats – dinners at the Groucho Club and Mosimann’s… Was that just the world you moved in, or did you cultivate a sense of glamour? God, that Chardonnay! It looked and tasted like yellow turpentine! Something to do with the wine having been matured in oak barrels, but both us and the clients loved it! I never ever saw The Groucho Club or Mosimann’s as being ‘glamourous’, just fun places to be. Also, because I was the main person bringing in the work, they were seductive environments for prospective clients. I remember one time at The Groucho when I was pitching for a contract, Joanna Lumley & Dawn French were lunching together. That didn’t go unnoticed by my guest. We got the job. One thing I particularly learned from working with you – that has remained with me until this day – was the importance of a good list. I’ll never forget the regular meetings and your words ‘Jacqui, come in here and bring your list…’ Are you still a lister? I’m still an inveterate ‘lister’, relishing crossing things off and moving unfinished tasks to the next day’s list. Psychiatrists have a name for this obsession, I’m sure. A 100 pounds – a lot of money then and a lot of cheek on my part. I’m not sure you were entirely comfortable though in being power dressed. Nor that the corporate side of the business was for you, but you went along with it. Down to more serious matters (remember, I see all this through the lens of an excitable twenty-something) – looking back at it, I feel very privileged that my first boss was a woman. Was it hard to start your business in what must very much have been a male-dominated industry in those days? This probably sounds either arrogant or foolish, but I never thought ‘how can I do this, I’m a woman’? I knew I had drive and tenacity and a wafer thin reputation as a broadcaster, but the main motivation was the desire to work in such a way that I could spend time with our two young boys as well. Ironically, of course, I probably worked much harder building up my business than if I had been employed. But the control was in my hands, and that was very important to me. Thinking further about a ‘male dominated’ sector, although we now know there were, and apparently still are, wide wage discrepancies between men and women, the media is certainly no longer a male dominated world. I never felt in competition with men. Without doubt, working with you helped my early ambition as a writer. I was lucky enough to produce your interviews with many authors and I remember seeing the mention of the UEA Creative Writing MA in one of the publishing catalogues that landed on my desk. That definitely changed my life… as did the opportunity of hearing so many writers talk about their work. Did interviewing them influence you too? This is the one moment in our relationship when I initially felt let down. If I’m honest – envious. I would have liked nothing better than to have waltzed into writing heaven with Malcolm Bradbury at UEA. There I was, poor little Cinderella, hacking away at the coal face. But I got over that pretty quickly and was genuinely pleased when your first novel was published. As for interviewing authors influencing my writing ambitions, I was so preoccupied with running the business that, no, they didn’t. But I loved helping them express themselves. Edna O’Brien, about whom we talked just now, opening up her soul, and Peter Carey describing how he felt an electrical charge through his fingers when he’d find the right phrase or word. As a small business owner today, I remain in awe at the ambition of your business – that when you set it up, you had such beautiful premises and permanent staff. What advice do you have for women in business who have similarly ambitious plans? Find something you really like doing, be brave, be enthusiastic and be prepared to work night and day. Hope that your staff respect you, but don’t automatically assume they will like you. Always make time for feedback and constructive criticism and appreciate that no-one stays forever. Now you are a writer, of course, and your book ‘Plenty Mango’ has recently been published. We speak about this in our first interview here. How did your life in business prepare you for life as a writer? Well, in business you are writing all the time – treatments, scripts, proposals, reports, staff appraisals. It teaches you how to write clearly, how to judge tone and the important role played by grammar. Or am I being old fashioned? I still find the informality of e-mails surprising. Now that I have more time, writing has become my main focus – as you know only too well. What general advice would you give to women looking to lead in business? Do you have any particular ways of working that others could learn from? I think we’ve already touched on this but, if you were to ask me the one most important quality needed to lead, it has to be courage. Courage to develop, courage to delegate and, although it happens rarely, the courage to fire someone. 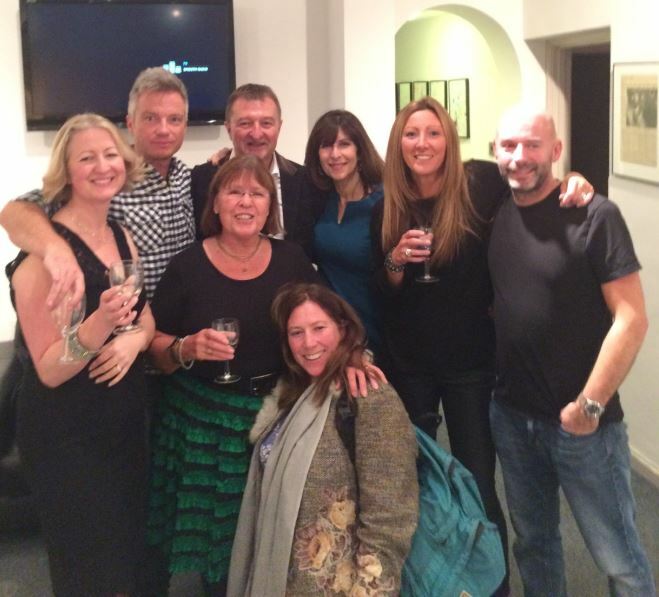 Jacqui (left) and Sarah (centre) with colleagues at a recent reunion. It was wonderful. A kind of levelling. None of us had changed (we all lied about not having aged) that much. What fascinated me the most was how differently we all remembered things. Memory is an unreliable witness, isn’t she? ‘Plenty Mango – Postcards from the Caribbean’ by Sarah Dickinson is available via either Amazon.co.uk/books or Amazon.com/books in paperback, Kindle, Audible and iTunes formats. You can read the first part of Sarah’s interview with Jacqui, about her writing of the book Plenty Mango here. 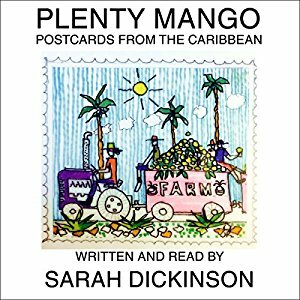 It is with great pleasure that I introduce a new book and Audible recording, Plenty Mango: Postcards from the Caribbean by Sarah Dickinson. 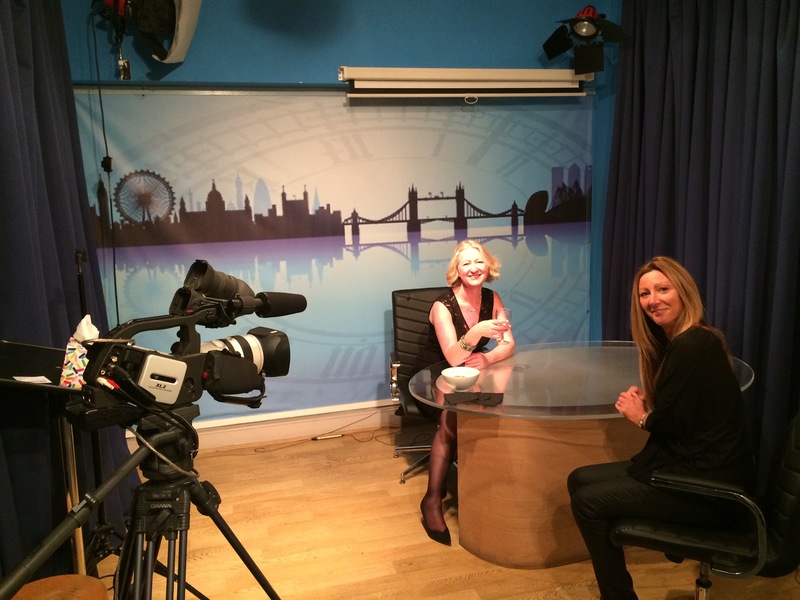 This is a very special one for me as Sarah was my first ever proper ‘boss’ after I graduated from University – aged 22, she offered me a role as a radio producer at her company Ladbroke Radio. The full story of how I met Sarah and what I learned from her as a female business-owner way back in the mid-eighties will form Part Two of this feature. 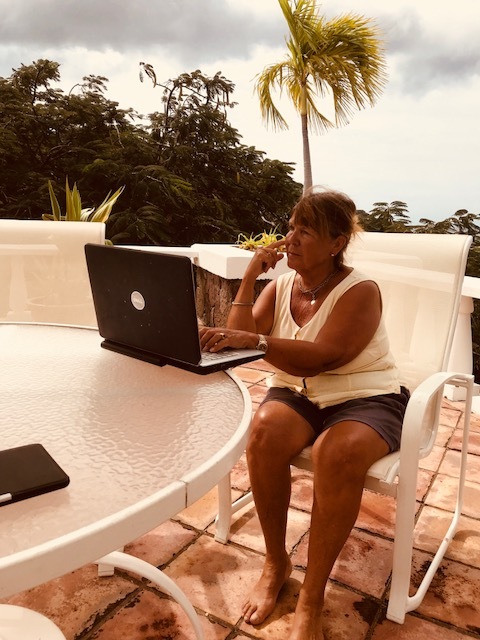 But in the meantime, let’s dive into the interview and find out more about this tale of life on Montserrat and living through the volcano years. Sarah, when I was in my early twenties, I remember working on your first book ‘How to Take on the Media’ as your researcher. How do you remember the experience of writing that book? And a very good researcher you were! The abiding memory is of acute physical pain. I’d slipped a disc and could only get comfortable either by standing upright or flat on my back, so the physical act of writing was challenging, to say the least. But the thinking, mapping and ordering of the content was exhilarating. I knew I ran the risk of being labelled ‘poacher turned gamekeeper’, as I was revealing the tricks in a journalist’s arsenal. But I genuinely believed then, as I do still, that an interviewee has a right to know the so-called ‘rules of the game’. Apart from being verbally mauled by Melvyn Bragg on Radio 4’s Start the Week show, the gamble paid off. In those days, I mainly knew you as my boss, a businesswoman and a radio producer/presenter. But have you always been a writer? From about the age of 6, I have always wanted to write. My first favourite author was Monica Dickens (no relation sadly) whose witty series ‘One Pair of Feet’, ‘One Pair of Hands’ made a big impact. Won a few writing prizes at college, but then had to earn a living, a need which occupied me, as well as bringing up a family, for many years. It’s only in the last ten years that I have the luxury of time to write continuously. Your new book ‘Plenty Mango – Postcards from the Caribbean’ tells the story of your experience of the Caribbean island of Montserrat – how did your relationship with that island begin? As with so many things that change the course of our lives, it was serendipity. One summer, many years ago, I was driving through Northern France with my husband John. We were on our way to Switzerland and at one with the world. It was one of those typical straight French country roads with white ringed poplar trees on either side. Nothing coming the other way, I signalled to overtake two cars in front of me. All was well until I was alongside the first driver who decided to overtake the car in front of him. There wasn’t room for the three of us, so I ended up hitting one of the poplar trees while they drove on. John somehow got me out just before the car exploded. He saved my life. Despite being grateful for being alive, come that winter, we couldn’t quite get over the enormity of what could have happened. So, to cheer the soul and warm the body, we headed for the West Indies, unknown to both of us, eventually finding and falling in love with Montserrat. So much so that John, who is an architect, decided to follow a dream and find some land on which he would build a group of contemporary West Indian style villas. We did find that land, 27 acres of tropical hillside overlooking sea, beach and mountains. We re-mortgaged everything we had to pay for it. We only needed to build one more house to almost break even. And then the island’s volcano re-awoke after 400 years …..
That was in 1995 wasn’t it? I assumed everything changed for the island? I can tell you the exact date .. Tuesday, July 18th. I remember it was one of those glorious tropical days, bright sunshine, cooling breezes, our two teenage boys glued to their Walkmans, working on their sun tans. I was dozing on a sun lounger when it suddenly felt as if someone was trying to tip me out of it. I shouted at the boys to back off. When they looked up at me from the other end of the pool, I realised my mistake. Something very strange was happening. I learnt later that I was experiencing a tectonic earthquake, one of the indicators that a volcano is ‘waking up’. I devote quite a few chapters in Plenty Mango to the devastation caused by the volcano and the impact that it has had on the economy and the lives of Montserratians. Tragically 19 people lost their lives, more than half the island’s population (5,000) left and those who stayed had to endure years of uncertainty. How did ‘Plenty Mango’ come into being? What’s the essence of the book? I suppose Plenty Mango is a kind of love story, between two people who share a love for a tiny island in the West Indies which, despite the ructions of a volcano, is home to about 5,000 people who care about each other and are proud of their heritage. Incidentally, it’s astonishingly beautiful. I’ve structured the book as a series of illustrated postcards – word portraits about its history, traditions, myths and, most importantly, its people. I believe you still live part of the year in Montserrat? How has your experience of the volcano affected your life and relationships there over the years? There’s that quote by the German philosopher Friedrich Nietzsche ‘that which does not kill us, makes us stronger.’ As I think I was trying to say just now, the hardship has brought us all closer together and made us more determined to make Montserrat a real tourist destination. John hasn’t given up on Isles Bay Plantation and hopes, one day, to build some more villas. The British Government seems to be still hanging in there, providing much-needed aid and more and more people are returning. Of course, we’d all like things to move much faster, but we know we’re still dependent on the whims of the volcano. And they are all people I know! I’ve changed the names of one or two, but not many. I’m relieved that the book has been very well received on Montserrat. I’m often asked, do you have a favourite? Of course not, but I am forever grateful to a lovely old man, never seen without his white wellingtons, who is a dab hand at clearing storm drains. I was waiting for John who had gone in search of a particular type of screw (no mean feat on a small island) when the old man came up to me and said ‘I jus seen your Daddy, an I tole him I clean dem drains soon.’ Who needs botox with compliments like that? Do you see the book as journalism or creative non-fiction or short stories. Did you think about ‘genre’ when writing? I really dislike this pigeon-holing ‘genre’ thing but, if pushed, I suppose it would fit into ‘travel’. How long have you got? Despite knowing lots of publishers and agents and receiving some very encouraging feedback to Plenty Mango, that depressing conjunction BUT kept appearing. ‘We’d love to publish it, but travel is such a tough market’, ‘Love the text and the illustrations, but all that colour would make it expensive to publish.’ Those are from people who bothered to reply; there were an awful lot of who didn’t. So, self- publish it was. What has the experience of self-publishing been like compared to traditional publishing? It’s much harder! You need cash, time, determination and, in my case, a technical guru. First of all, John and I set up a small publishing company called Tamarind Press (just in case we needed it later on). Because my media background is as a reporter/presenter, I decided, initially, to record all the stories and try and get them played on radio or on some of the airlines flying to the West Indies. It meant finding a producer and hiring a radio studio but, as I’d been in the business for some time, that wasn’t difficult. I’d also heard of an organisation called ACX who operate as an intermediary for Amazon’s audio imprint Audible and iTunes. There is no upfront charge and, once satisfied with the quality of your submission, will add it to their catalogue. ‘Look no further,’ I thought. Another lesson to be learned. Always read the small print. What I’d failed to notice was that Amazon won’t publish an audio version of your book until it is available either as a paperback or in Kindle – which leads me to the Kindle Direct Publishing site which urges you to ‘Self-publish e-Books and paperbacks for free with Kindle Direct Publishing, and reach million of readers on Amazon.’ Sounded good to me and because my technical guru was right by my side, I didn’t have to worry about such things as JPEGs, or page and line breaks. My job was to proof read the final manuscript before pressing SEND. You know, I swear I spotted every ‘typo’ and slightly confusing edit but, (there’s that but again) as I suppose is inevitable, I have spotted a few since reading the published version. The great thing about publishing with Amazon is that it’s a ‘just in time’ outfit. Someone orders a copy and, if it’s an e-book or audio, it’s instant, if it’s a paperback, could be with you the next day. No remainders this way. How have you found the marketing side? What advice would you give to others going this route? I compiled a data base of about 400 people and e-mailed them all INDIVIDUALLY, letting them know about Plenty Mango and the formats in which it was available. I kept the price of the e-book very competitive. The paperback version, which had all John’s coloured illustrations, didn’t offer me such lee-way, and Audible charges a fixed price. I have to warn you that the royalties are pretty small. Word of mouth is, I’ve found, the best marketing tool and, to this end, I have become very active on Facebook. It’s quite hard work, as I’m not one of those people who post photographs of my last meal, so it tends to be news, at the moment at least, about the book. I’ve also got a website sarahdickinson.net – which is proving to be a useful communication tool. I’m thinking of commissioning a PR specialist as well, but haven’t as yet done so. The book, I’m happy to say, is doing well. Not ‘Fifty Shades of Grey’ – well, you understand, but well enough. You recently took part in a literary festival in Montserrat – what was that like? When we met recently, you told me about your regular journaling and that was very inspiring. How has writing regularly changed you as a writer? It’s like exercise, the more you do, the easier it gets. I write in Moleskines – good size for carrying around and protected by a hard cover. Anything and everything goes into them – funny things our grandchildren say, rants about politics, the beginnings of stories. A word of advice – always date everything.To-day’s entry will be about this interview! 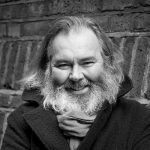 In this post, our Founder Jacqui Lofthouse interviews her former client, the novelist Stuart Warner, author of The Sound of Everything. They discuss his transition from poet to novelist. When we first met, in your writing life you were primarily a poet. What made you want to transition to novel-writing? I recall telling friends how much I admired people who’d shown sufficient determination to write a novel. I’d written hundreds of articles, as well as the poetry, so I knew I could write fluid prose. I set out on the first draft as an adventure to see whether I could produce a story of 80,000 words or so – whether I had the persistence to do so. That was my initial goal: simply to produce a first draft. Did you have an initial impulse that prompted you to write the story that you chose? Did you begin with a story premise or just an image or an idea for a character…? My decision to write a novel came first. I then had to decide what to write about. Having read Stephen King’s On Writing, I’d decided not to make a detailed plan. I took a few days off work and, on day one, I sat down at my desk, fountain pen in hand, and wrote a single page of notes. It was about 300 words. Rereading it now, I’d call it a rough synopsis. It contained several ideas, which carried through to what became The Sound Of Everything. Mostly, it was about the protagonist: the pickle he’s in and what he wants instead. After writing those 300 words, I turned to a fresh page and started chapter one. Interestingly, the first sentence I wrote had nothing to do with my initial notes, yet it drew on an image I’d been carrying round in my head for a while, a location which plays a major part in the novel. It’s interesting to me that an image was central to your beginning – as I too, often work from images and strong hunches. I’ve noticed the importance of landscape too in your novel… what role do you think a sense of place plays in your writing? Place is very important in the novel and it has been in my poetry, too. The Sound Of Everything is set mainly in a small town on the Welsh border, though there are also a couple of hill-top scenes. Certain locations – or types of location – seem to resonate with what’s going on inside us. For example, someone might feel the freedom of the wide-open spaces on a beach or a mountain, or a sense of being trapped by their daily routine in an urban environment. For someone else, I guess the opposite could be true. For me, there’s some sort of interplay between what one might think of as the magic and the mundane: what we see with our eyes, what we feel inside and, perhaps, what we experience beyond the five senses. Writing about different landscapes helps me access that interplay. Beyond the five senses – you’ve sometimes described this, I know, as ‘spiritual fiction’? I’d say it’s a small-town mystery with a spiritual aspect – spiritual in the sense of questions we might sometimes ask ourselves, such as ‘Who am I?’, ‘What am I doing here?’ or ‘What’s the meaning of life?’ Going back to your previous question on place, while my initial 300-word outline related to the external plot, the image that came through in the first line I wrote – sentence one, paragraph one – was concerned with the protagonist’s internal exploration. It was only when I came to working with you on the second draft that I delved down deeply into that exploration – the feelings the protagonist experiences when he starts to open to that side of himself. It was difficult to decide what Amazon genre the finished novel fitted into, but I plumped for visionary and metaphysical. Spiritual seemed to me to be too much associated with Christian fiction, whereas the novel resonates more with Eastern ways of thinking – yoga, for example. That’s fascinating, that the mentoring process allowed you to delve deeper into the protagonist’s inner exploration. Is that what you expected? When I found your website, I wrote an email to you to enquire about your one year mentorship programme. Here’s what I said: ‘I’ve just finished the first draft of my debut novel and so I’m a beginner as far as novels are concerned… Completing the first draft, regardless of its merit, has given me a huge confidence boost. I now feel ready to commit to learning the skills that I will need to become a published novelist. 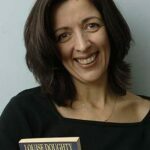 ’ I had no idea what to expect from working with you, but I figured it made sense to learn from someone who’d already achieved what I was setting out to do, particularly as I’d never studied creative writing. One of the key points you made in our first meeting, having read chapter one, was that I needed to show why my protagonist acted as he did, by describing what he was experiencing from his point of view. I’d done that in a few places but, generally, the point of view I’d used was too distant. I know now that you were teaching me a technique to improve my writing, but you also opened a door for me, one which helped to strengthen the bridge between my writing of the novel and the way I’d approached my poetry. I’m so glad that the new closeness in point of view has revealed a link between your fiction and your poetry. For those who might be considering working with a mentor, what in your view, have been the main benefits of the work we’ve done together? Just to explain how it worked, I’d send you an extract – 6,000 words or so – about a week before our meeting date. You’d then read and mark up the extract before we met. In meetings, which were on the phone as we live 250 miles apart, you’d give me feedback. We’d discuss what you said and we always ended the meeting with an action plan for the next month. Three or four weeks later, I’d send you a new extract ready for our next meeting. Meanwhile, you’d post the marked-up extract back to me. This went on for a year. The regular schedule was superb because it enabled me to put in a renewed burst of activity every four or five weeks, trying to put into practice what we’d discussed. I’d have to work hard to produce the next 6,000-word extract – sometimes, the same extract as the previous time but substantially rewritten. Then, I’d send it to you and receive almost instant feedback on how well I’d achieved my goals. Rather than slaving over a whole manuscript for a year and then sending it to a beta reader or agent, I’d get ‘mini-reviews’ of my work every month. I believe that accelerated my learning process. While you were always very positive in your feedback, you always encouraged me to go further. I would usually feel that I’d made huge strides forward each time and you always liked what I’d done. But, after every meeting, I felt I could delve even deeper, because that’s what you asked me to do. That was the bridge with the poetry. When I wrote my poems, I was expressing my truth, as best I could, in a few short words. With the novel, your mentoring helped me to dig down to that same depth in a much longer written work. Of course, I also learnt much in the way of technique. Probably the most important point was the need for the protagonist and other main characters to act in a way consistent with what would be going on in their head: psychological realism you called it, I believe. Why would they act that way after what happened in the previous scene? What was their motivation? What has changed for you in your writing life in the last year? The biggest change is that I’m now working on my second novel rather than my first. This time last year – June 2016 – you were mentoring me on revisions to what would become The Sound Of Everything. A few months later, in August, I sent the manuscript to a couple of professional beta readers, followed by further edits and more beta readers in October. Then came the publishing process and a few months brainstorming ideas for the next book. Eventually, I started to write again at the end of April and now I’m 30,000 words in. Back in summer 2015, when I’d just completed the first draft of The Sound Of Everything, I wondered whether I’d be better to ditch that project and start a different story from scratch. Then I read somewhere that you learn a lot more, about writing a novel, by editing rather than starting afresh. I think that was great advice. My whole experience with that first novel has given me a lot more confidence this time round – that my rough first draft will evolve in a way I’m happy with. 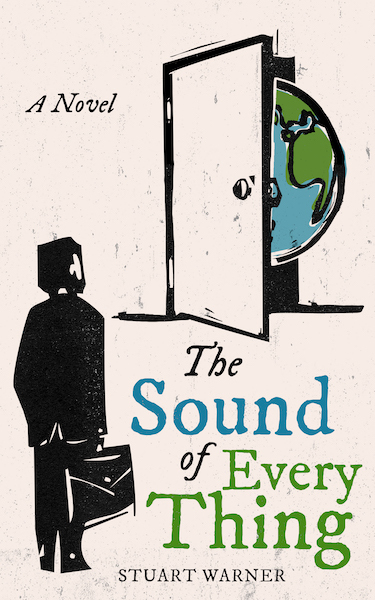 You decided to self-publish ‘The Sound of Everything’ – what was behind that decision? When I started to read about the importance of genre, I figured I might find it difficult to find an agent. Also, I’d already been down the self-publishing route with my poetry. When I raised the idea with you, you suggested several websites I could look at. One of these was Joanna Penn’s. I found her advice very useful, and I started to realise that many writers now self-publish from choice, particularly if they plan to write several books. It’s a long-term strategy, with less emphasis on the initial book launch and more on building a following. The book involves two quests: one internal, the other external. I wanted to write a story, which was a bit of a page-turner but also had depth to it – the spiritual aspect we discussed earlier. It’s told from a single viewpoint and includes quite a bit of internal dialogue. It starts with Jack, the protagonist, dashing into an Indian gift shop. What happens to him there, changes the course of his life. Below, I’ve copied extracts from two kind reviews I received on Amazon. I’m sure the book isn’t for everyone, but the extracts are in line with the feedback I’ve received from most readers I’ve heard from. 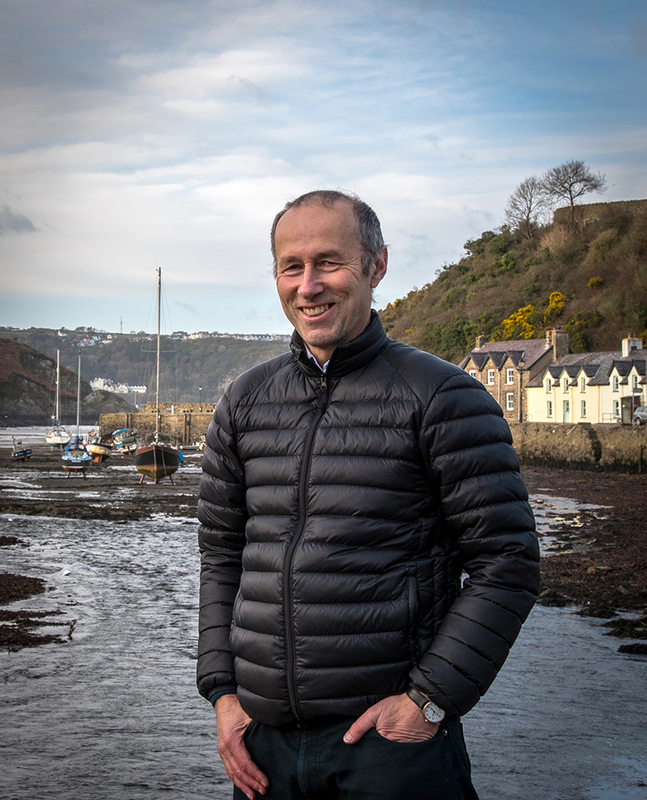 To find out more about Stuart Warner’s work, visit his website here. 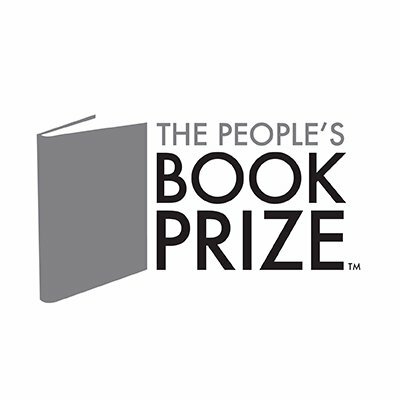 We are delighted to announce that our Founder Jacqui Lofthouse was shortlisted in The People’s Book Prize for her novel The Modigliani Girl. Jacqui attended the prize-giving ceremony at The Stationer’s Hall, the original home of copyright, on the evening of Tuesday 23rd May. 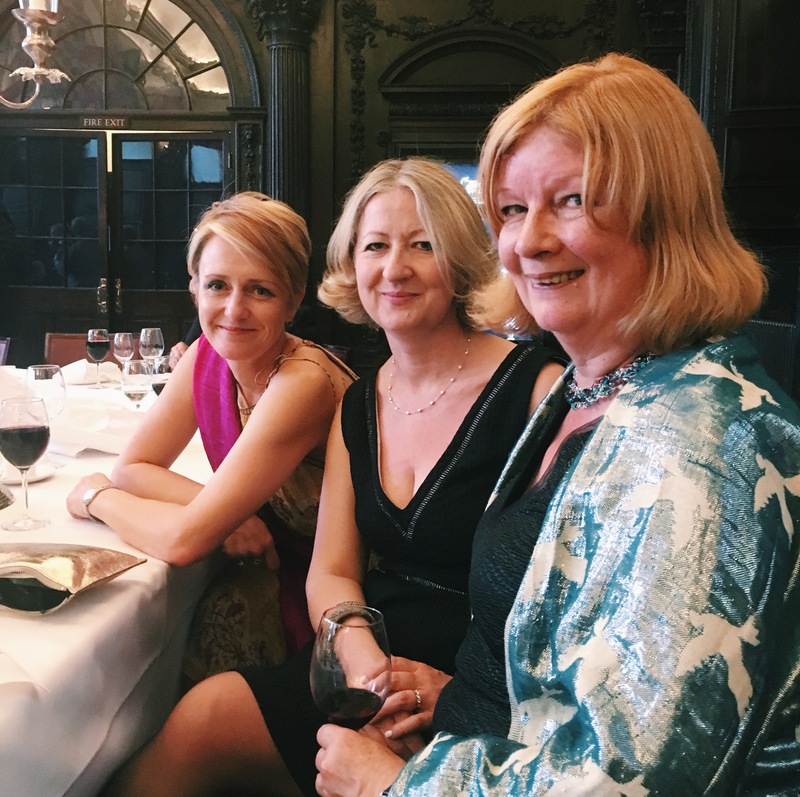 It was such an honour to be shortlisted for this fantastic award, whose founding patron was Beryl Bainbridge and especially to attend with my wonderful publisher Stephanie Zia at Blackbird Books and fellow Blackbird author S.E. Lynes, author of Valentina. I am so grateful to every single person who read the book and voted for me. It was also a pleasure to meet so many other authors, agents and publishers. I particularly enjoyed meeting Avril Joy, author of Sometimes a River Song, who won a special ‘best achievement’ award, agent and publisher David Haviland, Louise Moir, author of Irreplaceable, author Catryn Power whose short stories were also shortlisted, Susan Mears, literary agent and author RJ Mitchell. 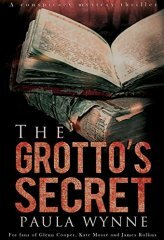 The fiction prize was won by Paula Wynne for The Grotto’s Secret – I’m very much looking forward to reading her novel. All prize-winners are listed here. Something like this, this idea – which is absolutely amazing – once it takes off, it will be of enormous importance to writers. 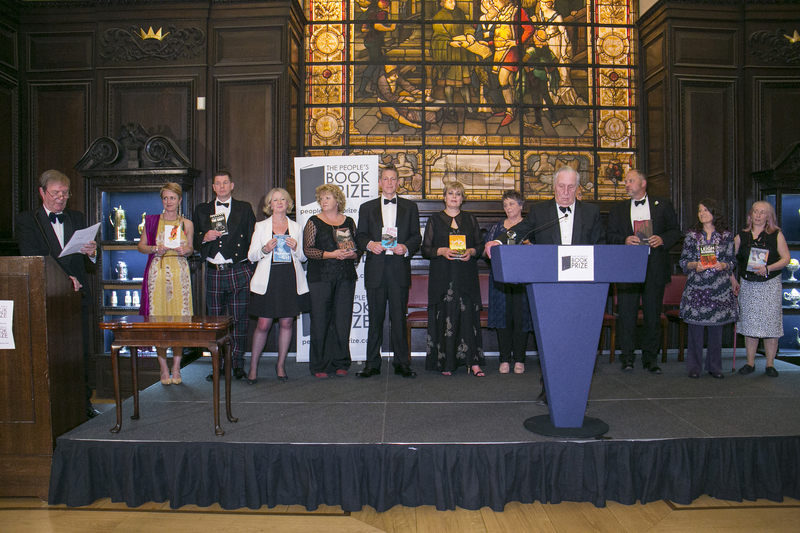 I look forward to the time when we mention this particular prize as the greatest – and look back – and remember I was at the meeting at the London Book Fair and think where it has gone! So I wish it tremendously good luck. Lately I feel as if I’m living in a hall of mirrors. All around me are reflections of my own imaginings – layer upon layer of slightly distorted repetitions – and I’m still trying very hard to get my head around it. The thing is: my life is imitating my art – in a very peculiar way. 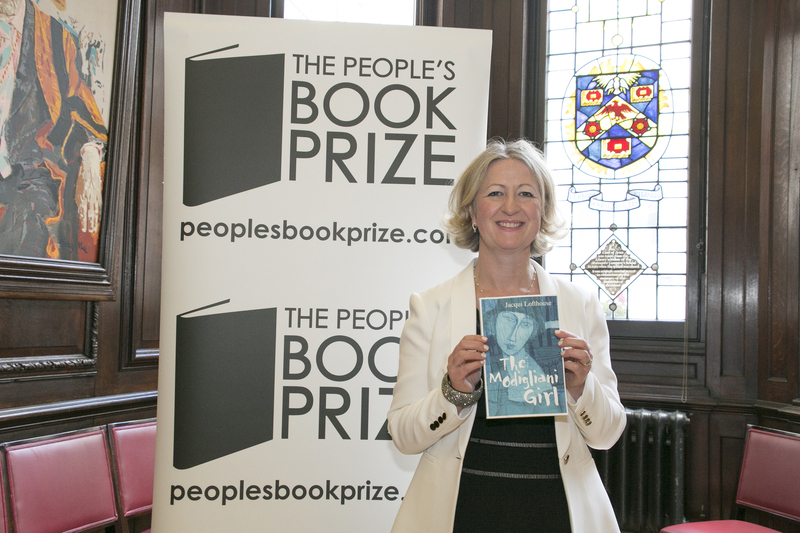 On Tuesday 23rd May, I’ll be heading to Stationer’s Hall, London as a finalist in the Fiction category of The People’s Book Prize for my novel The Modigliani Girl . I must smile, only smile, get through it. Make sense of it later. Nobody out there can see quite how much I despise myself for being here. You’ve sold out, Anna Bright. Very soon you’ll be a public commodity with the artistic integrity of an ant. I can see the VT running, on the other side of the podium revealing highlights of the show to come. It’s showing all the usual images of me, at the many parties I’ve recently attended, leaning towards various publishing types, apparently engrossed in conversation. Again that sound: applause. But for what? How many of those who logged onto the website actually got past the pictures, soundbites and logos plastered everywhere and actually read our work? I think they are just voting for the dresses. I urge you, of course, not to vote only for the frock (I haven’t bought it yet, that’s tomorrow’s job). I hope, if you’ve read and enjoyed the novel, you will know how it explores the contrast between genuine artistic intent and the modern world of self-improvement, self-marketing and mainstream publishing. At the heart of the book is the story of Modigliani’s muse and mother of his child, Jeanne Hébuterne. 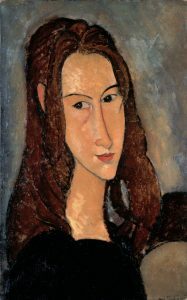 Hébuterne, aged 21 and pregnant with Modigliani’s child, committed suicide after his death by jumping from a high window. Here’s an extract from the novel where Anna imagines Hébuterne’s reaction to her appearance in the literary competition. This is it, Anna Bright. Sadly I don’t believe my own PR. It’s your time. What does it matter how you got here and what you feel inside? When you put on that dress, you can do exactly what she says: walk onto the stage and work the audience. You can become Fahy and Brown’s next big thing. But even as I say these words, I am thinking of a girl standing before a high window in Paris. I can’t get her out of my mind. She has lost the only thing that matters to her and she is gazing down at the pavement far beneath, wondering if she will do it, whether the act she is about to commit is one of bravery or one of cowardice. And what would she make of me, that girl? You ar a liar and a thief. 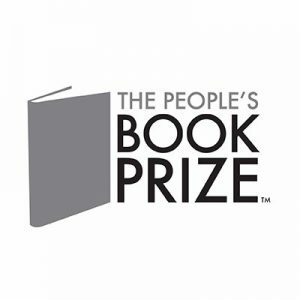 One of the things that I love about The People’s Book Prize is the fact that the Founding Patron was Beryl Bainbridge. A long time ago, when my novel Bluethroat Morning was published, I was invited to speak on stage with Beryl Bainbridge at a reading for Amnesty International. I met Ms Bainbridge in the cafe beforehand and of course, as a young writer, I was so in awe of her, but she put me at my ease and we shared a cigarette . On stage, I read an extract from my novel and afterwards, Beryl whispered in my ear ‘very good’. 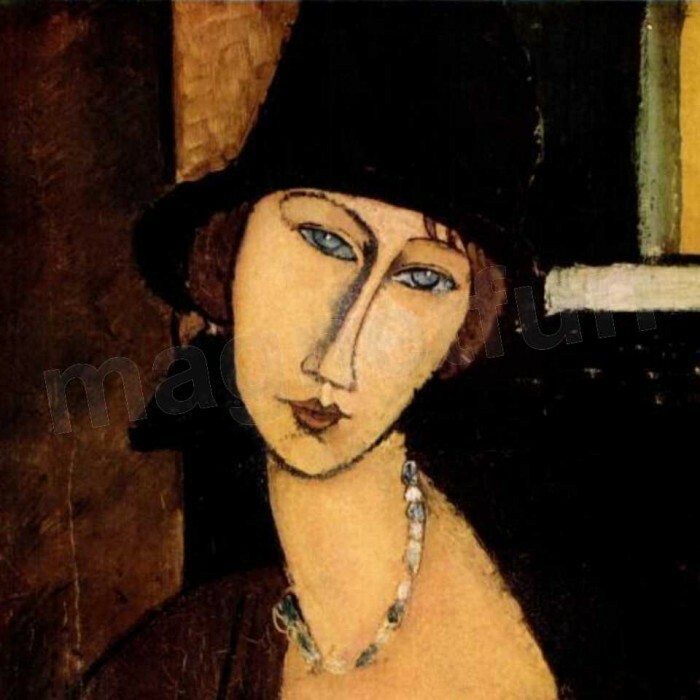 I have never forgotten that early encouragement and that incident appears in fictionalised form in The Modigliani Girl. I’m a great fan of Paul Auster and a couple of the things I admire about his books are his insistence on the power of coincidence and also the self-referential nature of his work. So it was that with a nod to Auster (who uses his own name in his fiction) I created James Loftus, the slippery literary guru of my novel. At the time when I wrote The Modigliani Girl, I was struggling with the idea of myself as a coach and feared the idea of the persona created by this very website, the idea that I might be setting myself up as some kind of guru – the last thing I would ever want. So what did I do? I sent myself up in the persona of the ghastly Loftus – a man whose only artistic creation is a book about how to write called How to be a Literary Genius, a man who runs writing retreats in Greece solely for profit, a trickster and a fraud. Perhaps it was only by creating Loftus that I was able to declare to myself what I never wanted to become. So how do I feel now that I am asking readers of my novel to vote for The Modigliani Girl? Now that I face the mirror and it reflects my own world back at me? Does my reflection mock me? Do I feel as my heroine Anna Bright did? I was discussing the prize with writer friends this week and one of them said ‘all prizes are like this; the winners are chosen by others; any judging process is fraught with difficulty.’ And I remember too that my heroine Anna Bright is full of ambiguity about the process. I take part, as she does, because in the end, I want people to read my books, I want to say something about the literary world, I want to write about the nature of art – and I want to entertain the reader and make people laugh. 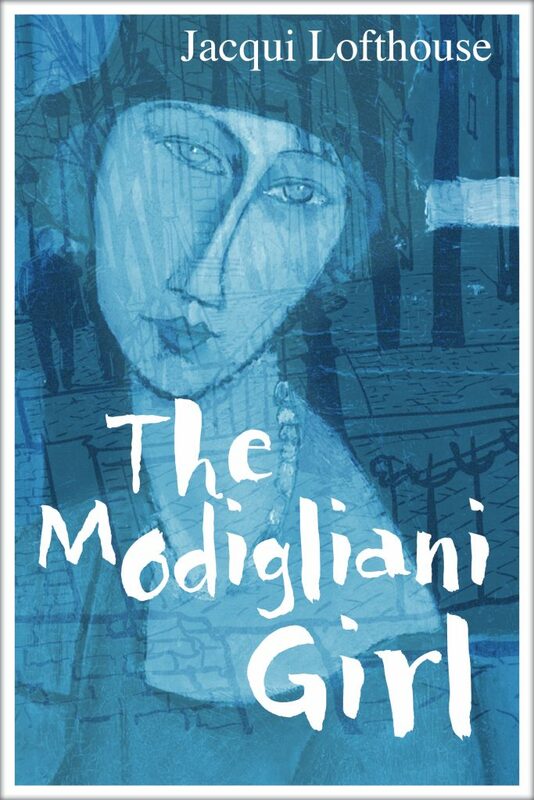 You can read more about the evolution of The Modigliani Girl in my post about writing the novel here. 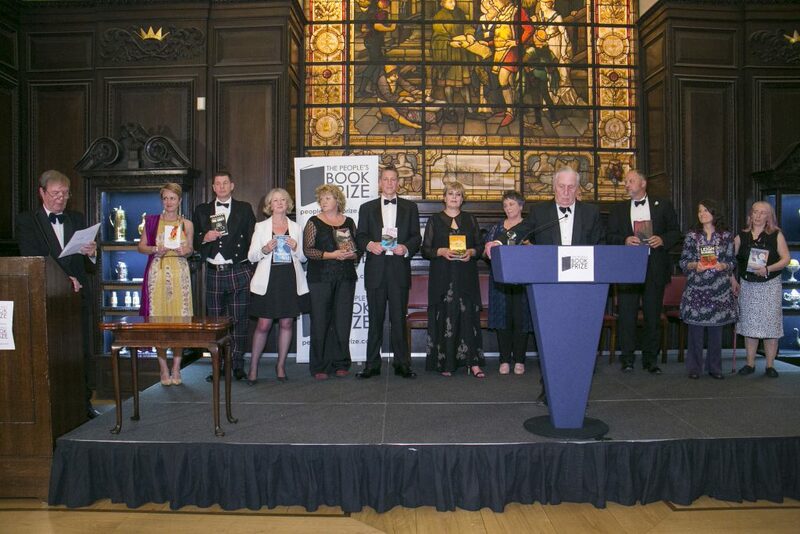 Good luck to all the shortlisted writers, especially my fellow Blackbird author S E Lynes with Valentina. We will be supporting one another on the night. What matters, in the end, is always the work itself. Writing non-fiction can be every bit as creative as writing fiction and equally as satisfying. Our perceptions on non-fiction may be narrow and perhaps need challenging in order to be aware of how there are possibilities for our own creativity. Non-fiction includes everything from the instructional ‘how to’ guides – whether that’s cookery, gardening, restoring antiques, the latest diet – to social and political history, art, biographies, travel and professional textbooks. You may think that non-fiction doesn’t allow your voice to be heard in the same way as fiction, but I’d like to invite you to reconsider this. The cookery books of Elizabeth David with their conversational tone, descriptions of the locations and culture drawing on all the senses, revolutionised cookery books in the 1950s, showing how a book of recipes could be so much more than an inventory of ingredients and how to combine them. Now, no one buys a cookery book just to follow a recipe: we’re buying into history, travel, personal memories and photographs to flick through; somewhere along the way there’s a recipe we will try. How can one develop as a non-fiction writer? What comes across in the best non-fiction writing is a strong sense of the writer’s passion and perhaps their expertise. You can have the passion but may need to develop your expertise. Or you may have the expertise and experience, but need to develop your ‘voice’ to engage your readers. I often suggest exercises to clients such as visiting old haunts to evoke memories :I find that this kind of sensory exercise really helps to deepen non-fiction work and to make it more personal. You may already have your ‘specialist subject’ which needs only a little research or your writing may be at an embryonic stage where you have an idea which requires research and much planning. Are you an expert, or could you become an expert? Have you the seed of an idea, associated with your own experiences which you could grow by talking to others, travelling, or researching? 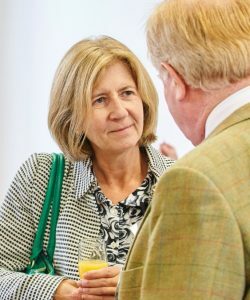 One former student’s book has taken her into areas she never imagined: founding a charity and sitting on the same panels as consultant surgeons. 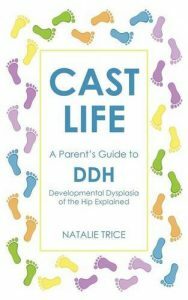 Natalie Trice wrote Cast Life – a parent’s guide to DDH (developmental dysplasia hips) – in 2015. When Natalie first enrolled as a student she wanted to write about the perils for parents at the school gate – fitting in, socialising and so on. I gently suggested this wasn’t that original but there were also potential issues around confidentiality. Given that Natalie was aiming for a self-help book for parents, she decided to focus on her son Lucas’ journey with DDH and her own lack of support in the UK for the condition. Natalie’s book covers diagnosis, treatment and recovery from a parent’s perspective. Initially, Natalie was uncertain about whether her book would have a wide enough appeal, because the condition is relatively rare. But counteracting this was the dearth of information for parents. A proposal was written and, after a few rejections, the book was accepted by a publisher, without having to work through an agent. Natalie is now receiving positive feedback from readers in Australia and the US, she has established the charity Spica Warrior.org where Paralympic swimmer Gemma Almond, born with the condition, is now the charity’s patron. 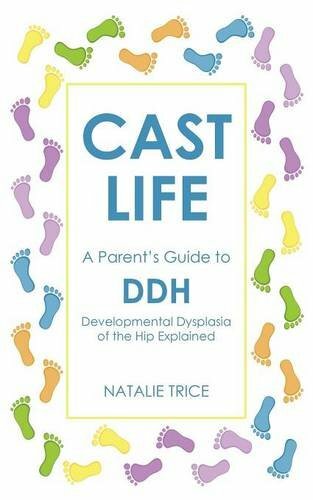 Natalie is now an advisory member of the International Hip Dysplasia Institute, appearing at conferences alongside medical experts, and on television. From the tiny seed of an idea – which was not her first choice when writing non-fiction- Natalie has become the UK parenting expert on DDH. Another student, Harriet Angel, had no such doubts about her subject. 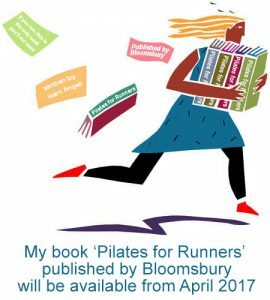 As an established Pilates and running instructor, she knew her book had to be Pilates for Runners. I helped Harriet with her chapter headings and summaries, ensuring that they included enough detail so a prospective publisher would be able to appreciate her expertise. We also had to work on the tone and style because this was a book that had to be easily accessible to readers who wanted to avoid or deal with a running injury, without necessarily reading it from cover to cover. There was also the issue of photographs or illustrations to accompany the text. Harriet was fortunate enough through her contacts and her business to be able to provide a publisher with testimonials from people in the field of sport; their names were included in the proposal. Having helped her to choose a publisher who might be interested, the proposal was sent and we waited for news. Within a matter of weeks a publishing offer had come from Bloomsbury and Harriet’s second book (under wraps at the moment) is in the pipeline too. What makes writing non-fiction different? The beauty of non-fiction is that unlike fiction you won’t always need an agent to land a publishing deal. There are publishing houses which will accept a detailed proposal and a couple of chapters and many non-fiction writers have had success with exactly those. The vital requirements are confidence in your idea and one that has potential for sales unless you intend to self publish. If your readers can feel your enthusiasm, your genuine connection to the topic and your depth of knowledge, they will engage with your writing. It’s important that you look at existing, competing titles as part of your research before committing to topic, because you don’t want to produce something too similar. But at the same time, there are many books on the same topics but which have a slightly different angle. A good starting point is to think of perhaps three subjects that interest you then create a rough draft of the contents of your book, as short chapter headings. If you struggle with finding enough to say, that subject may not be your best idea, but there will be one that excites you. Dive in, have confidence and see where it takes you. Why not try it? 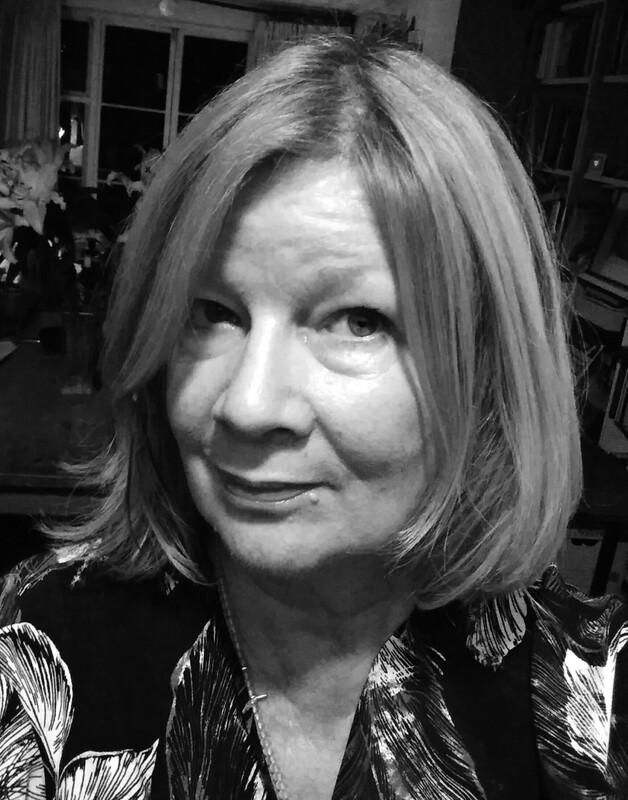 Glynis Kozma is a consultant for The Writing Coach. 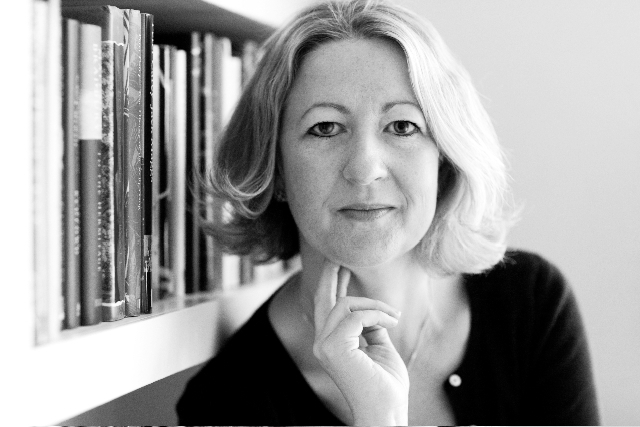 She is the author of two non-fiction books for parents – Secondary School and Leaving Home – and a freelance journalist who writes for The Times, Guardian, Daily Telegraph and Independent – as well as a wide range of consumer magazines. 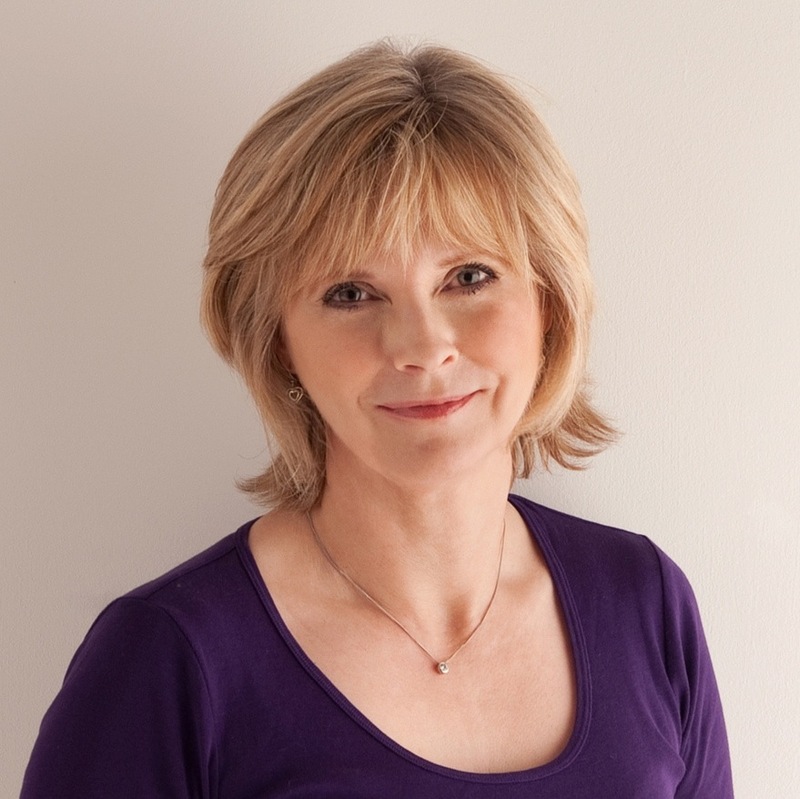 Glynis is a fully qualified coach and a member of the Association for Coaching. You can contact her here. I am delighted to announce the launch of my new publishing imprint, Nightingale Editions, an imprint of Blackbird Digital Books. The imprint has been founded by me Jacqui Lofthouse together with Stephanie Zia of Blackbird Digital Books. For some time, I’d considered the idea of publishing the work of others, but when I read Sara Bailey’s haunting and lyrical novel Dark Water I felt a strong sense of connection with the book and realised that the time was right. I am lucky enough to know Stephanie Zia who has the technical know-how and together we decided that a new imprint of Blackbird was the best way forwards. We knew that the name Nightingale was right when we both thought of it independently! It was important to me that the imprint should have a visual link with The Writing Coach, so I worked with my husband artist David Lewis and Hayley Thomas of Goburo to create the lovely bird logo and lettering that you see here. I am so looking forward to publishing Dark Water. It is an incredibly atmospheric coming of age novel, a psychologically intense portrait of adolescent yearning and obsession, set in the beautiful Orkney Islands where Sara lives. 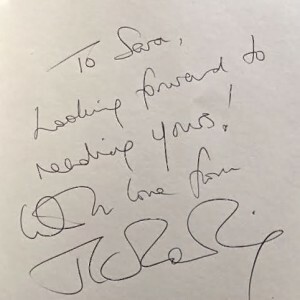 Indeed, the novel had a wonderfully auspicious start to life when Sara Bailey had an unexpected encounter with JK Rowling in the setting of Orkney Library. She writes about this encounter in full on the Nightingale blog here. 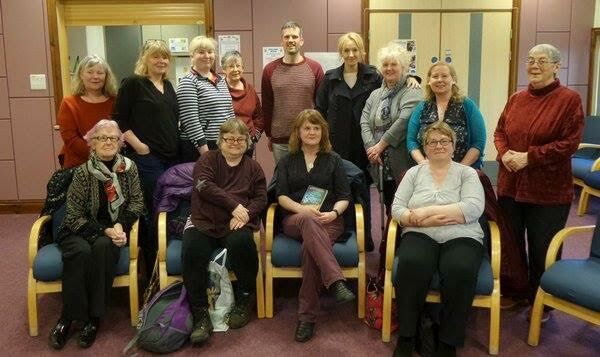 JK Rowling meets the members of Saturday Slaughters reading group. Photo by Stewart Bain. Rowling’s visit to Orkney Library has already been widely covered in the media. However, Sara Bailey’s insider story is fascinating. The visit happened on the very day that Sara had signed her contract with Nightingale Editions and ended with this treasured note in Sara’s Moleskine notebook. “Do they know you’re a writer? You must tell them?” I hushed her and went even redder. This is Orkney, we don’t shout out things like that in public. She signed the notebook and wished me lots of luck. If you are interested in writing about Nightingale or Dark Water, the press release is here.